Double Press Box Heavy-duty Scrap Shears are suitable for compressing light scrap materials、wasting car shell、light structural parts, etc. 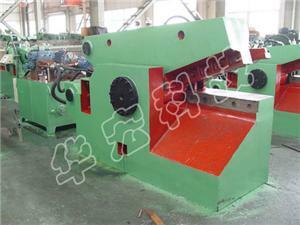 to high density mass, and then cutting to qualified charge to meet steel smelting requirements. Double Press Box Heavy-duty Scrap Shears are suitable for compressing light scrap materials、wasting car shell、light structural parts, etc. to high density mass, and then cutting to qualified charge to meet steel smelting requirements. With feeding machine or electromagnetic sucker, discharge conveyor, magnetic roller, stacking conveyor, spray water system can form a complete production line. 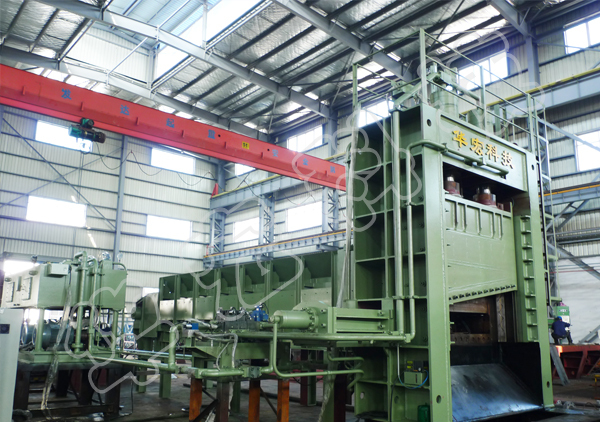 Double Press Box Heavy-duty Scrap Shears suitable for National Circular Economy Park, National Urban Mineral Demonstration Base, scrap processing and distribution center (base), steel and nonferrous metals industry, scrap car dismantling and remanufacturing enterprises, etc. 1, Double press box structure, while side pressure synchronous work. Set compression and shear function in one, high tightness compression . Equipment can also be added in material while shearing, making work more efficiency. 2,Size of press box is big, suitable for mechanical feeding, especially for loose light scrap and steel structure. 4,Using reliable high-flow logic valve control, independent filtering and cooling system, can ensure to operate efficiently and reliably. Constant power variable and differential fast technology integrated use, while ensuring the production and energy saving at around 25%, tons of steel processing energy consumption is lower than the industry standard requirements.